The folks over at KC Tool sent over some Orbis angled pliers for me to check out. I have used angled pliers before, and know of a couple other brands, but was nonetheless excited to give these a try. They sent over the long nose and combination pliers. What surprised me at first was that Orbis is a Knipex brand. Did you know that? Because I certainly didn’t. I’m not really sure what implication this has on anything, though. Both pliers that I have been testing, and presumably the whole product family, are made in Germany. I have been testing both pliers for about 2 weeks so far. My hope was to complete a full review by now, but I’ve fallen a little behind on schedule on the evaluation process. So what follows is more of a hands-on preview, with some photos and a greater assessment to come later. Well… going into it, I thought that link was going to be longer. There’s also the Gedore angled pliers from KC Tool’s earlier deal, and the Wiha Inomic insulated pliers (via KC Tool). I’m sure that there are other brands and sizes available, but the above are all of the ones I am immediately aware of. Here’s my 94-second video review of Irwin’s angled pliers. Why the angle? It’s all about ergonomics and access. 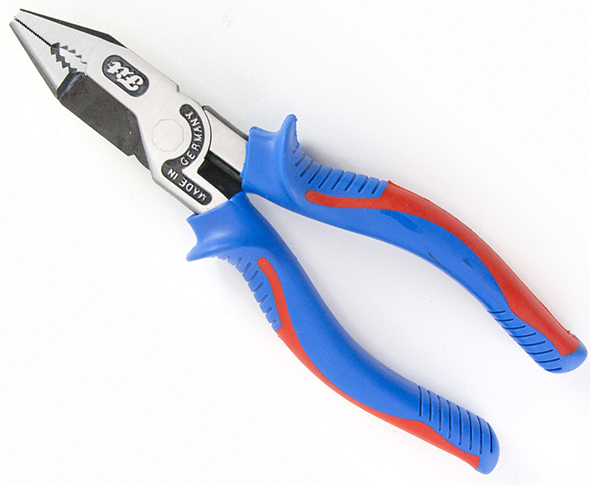 The angle makes the pliers so much easier and more comfortable to use for certain applications, such as tasks that involve holding, pulling, or twisting motions. 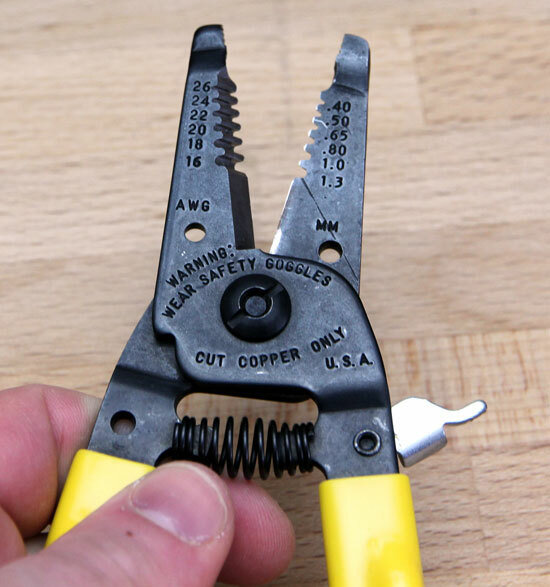 These won’t sub-in for your regular pliers all the time. Well, maybe they will, depending on how you use ’em. After using angled pliers for a couple of years now (mainly my NWS ones), I find that I can reasonably predict which pliers will offer the best performance for a task. Sometimes I’m wrong, in which case I’m simply left using a less efficient tool to complete the job. The two Orbis pliers I’ve been testing are very well made. The coating on the cutting blades was a little discolored on both pliers, which tells me they’re perhaps supposed to be that way. Their pivots are relatively smooth, although the long nose pliers could stand to be broken in a little more. I have developed a subconscious distaste for plastic-dipped pliers handle grips. 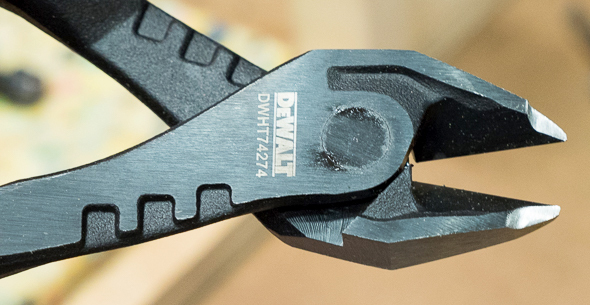 Why settle for plain Jane handle grips when so many pliers makers offer superior molded cushion grips? These pliers are a reminder that simple dipped grips can be comfortable. It’s not surprising that the pliers are comfortable to use. I have a duo of Craftsman-branded Knipex Cobra adjustable pliers with wonderful dipped handles. 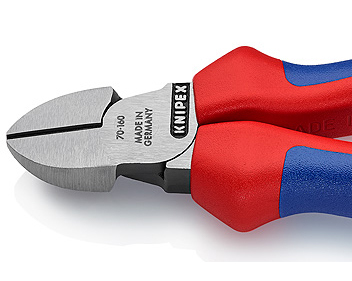 If you already have a couple of Knipex pliers in your toolbox, I would say that the Orbis handle material is a cross between what Knipex uses on their pliers and Pliers Wrench, and what they use on their Raptor pliers. The handle material isn’t shiny and slick, nor is it textured and ultra-grippy. It’s smooth with a soft and frictiony feel that works really well. I have used the pliers to hold small parts, wires, and tubing, and used them to cut copper wire. I haven’t used the round-shaped pulling grooves yet, and probably won’t, except for fun. It looks like a nice touch for pulling wires and cabling, possibly without marring the jacketing. The front grooves of the combination pliers jaws aren’t perfectly clean, and upon closer inspection there are rough parts are on the inside of the long nose pliers as well, around the inside of the wire cutting blades and wide jaw grooves. It’s nothing that would affect usability, but I was expecting a little more attention to finer details. But, then I remind myself that I don’t want to pay extra for fine-tuning where I won’t see a lick of difference. The finer grooves of the combo pliers’ jaws aren’t impeccable, but so what? It’s not like these pliers or any other serrated pliers are meant to be used on delicate or show surfaces anyways. Pricing ranges from $29 to $37 for the angled pliers, diagonal cutter, and combination pliers, and the angled cable shears are $66. One thing I’m still trying to figure out is whether I like these 25° pliers better than my 65° NWS angled pliers. There’s a huge difference in how the Orbis and NWS pliers feel, due to the not-insignificant 40° difference in working angle. I find that the NWS pliers are more ergonomic and more comfortable for twisting tasks, but the Orbis pliers can be used in place of straight pliers much more often. 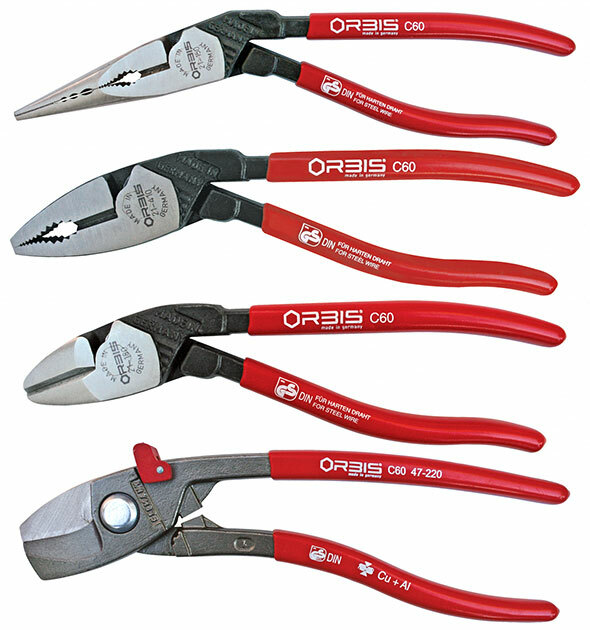 Overall, I think that these Orbis pliers are recommendable for users who want the ergonomic benefits of angled pliers without having to carry straight pliers around as well. With my NWS pliers, I am never far from straight pliers. With these Orbis angled pliers, I don’t quite see the same benefits as my NWS pliers, but I also don’t see the same disadvantages. Definitely something to think more about. Thank you to KC Tool for providing the review sample unconditionally. Thanks – I never heard of this brand – let alone knew that Orbis was a Knipex company. You learn something new every day! I did have experience with pin punches from Rennsteig Tools – another Knipex company. Yep, those are the Inomic pliers I mentioned near the top of the post. I don’t have a use for them, but will order one to check out at some point. Sorry that I missed your reference to the Wiha pliers. I’ve had a chance to hold one of them – some years ago – and thought they were more for electronics than for general use. As I recall, the handles felt a bit “plasticy” to me – but I’m more a plumber at heart than a precision sort of guy. No problem, it was a buried link that I bet most people will go back and hunt for after reading these comments. Well, since they’re insulated with high voltage protection, it’s a safe bet that were designed exclusively with electronics work in mind. Wiha does make a couple of non-insulated ones, but they’re much harder to find. What are the three cut outs on the front end of the long nose pliers? Pulling grooves, I believe. There’s not much documentation but I believe they’re used for pulling wires without marring or damaging them, or at least not as much as pliers jaws would. Matco started selling these some months ago. Along with Orbis and Reinsteig, is another subsidiary called WiLL (another old-time German pliers maker).